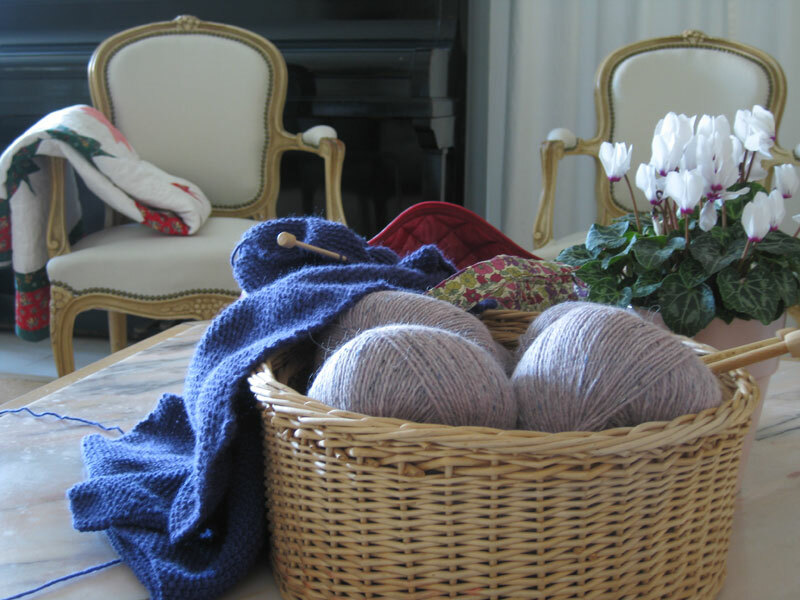 Sharing today a "slow knitting" post at Kathy's Slow Sunday Stitching as I do not have any quilting to show today. Loving the wool too! 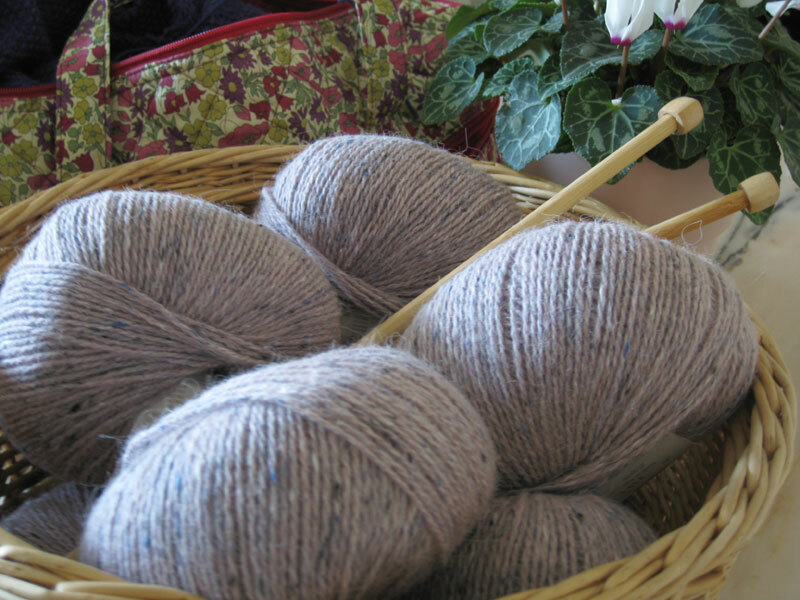 I knit two wraps for a Rowan wool. A friend gave it to me, it was her grandmother's. There was enough to make a wrap for each of us. Ooh such soft looking yarn. I too love knitting this time of the year. Hello Christine !! J'espère que tu as passé de bonnes fêtes de Noël en famille. J'espère que tu nous montreras ton pull terminé. J'aime beaucoup les coloris en tout cas !! Je me réjouis de voir la jaquette finie! Quel est le nom ou le numéro de cette belle couleur de rowan, svp?? Merci Helen! Le numero de la couleur de la laine Rowan est #185 frozen - lot 2401. Your yarn is beautiful. I dream of knitting by the fireplace, but alas I don't have one. Your basket of yarn looks so soft and wonderful. Knitting by the fireplace sounds so relaxing. That yarn looks very inviting. 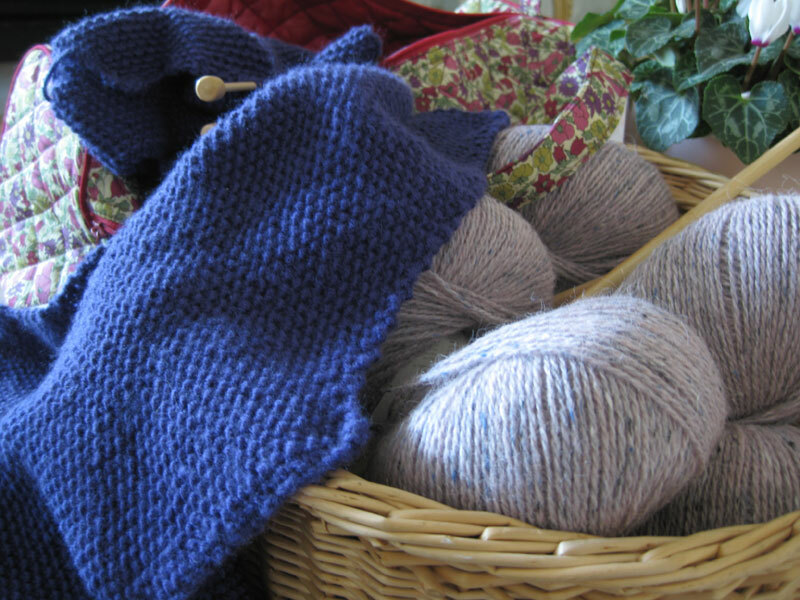 I love knitting in the winter months. It looks so inviting and cozy Christine! I wish I could come and sit with you - you could knit and i could cross-stitch. I was wearing a pair of gloves today that I knitted in Rowan Felted Tweed a few years ago now - it certainly wears well! I love the little flecks of colour and it's so warm too. I think you're right, knitting by a winter fire just has to be done and you've inspired me to find something to knit; it's been a while! Happy New Year Christine! Thank you Stephie, have a wonderful New Year's Eve! 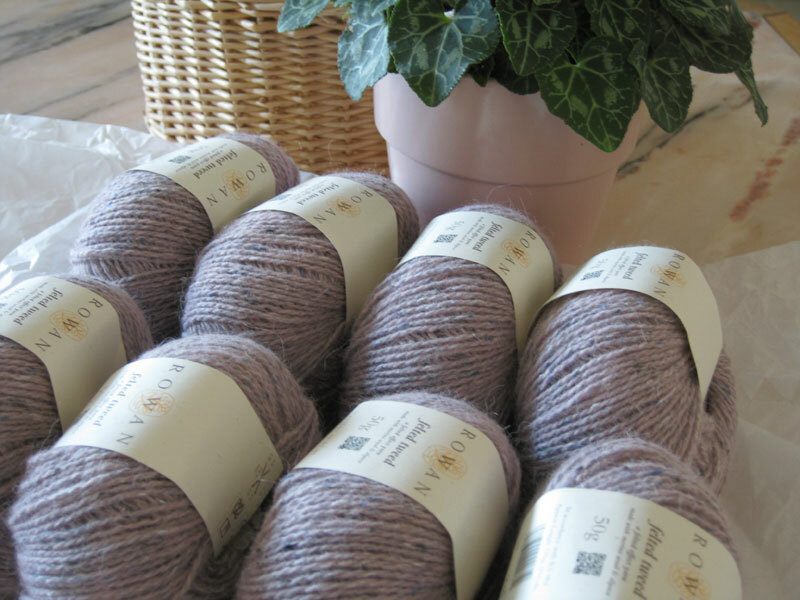 Beautiful yarns! Is the blue jacket for yourself?